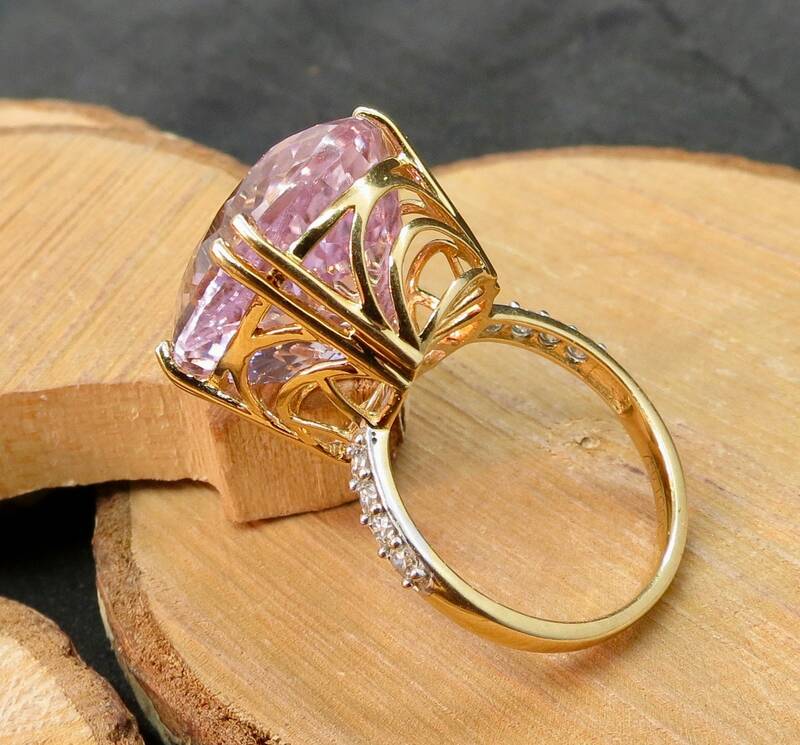 This 18K yellow gold ring has a large multifaceted oval cut kunzite, double claw set in large decorative design mount. 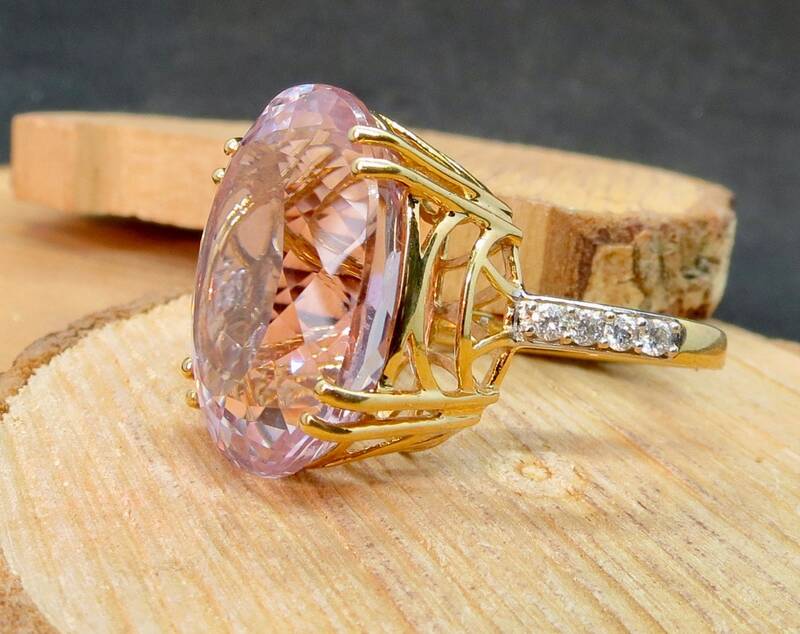 The entirely enclosed gallery leads to diamond set shoulders and a plain band. 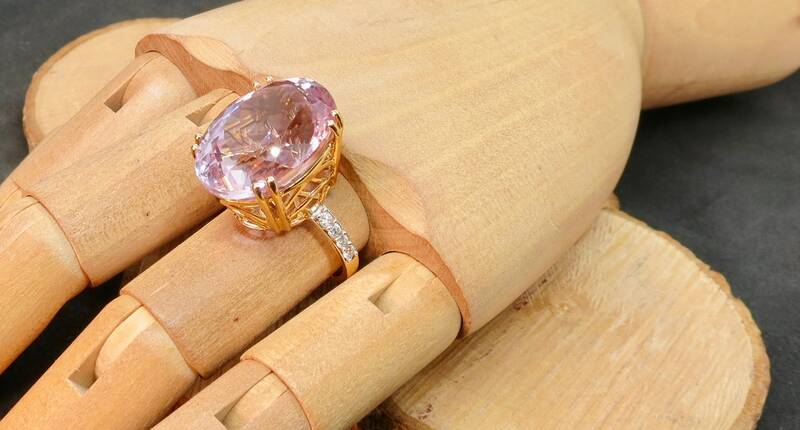 The kunzite is 20mm x 15mm x 10mm (4/5 x 2/3 x 4/10 inch) and weighs in at 18 carats. The white diamonds in total weigh 16 points. The shank has an 18K gold stamp and makers mark. 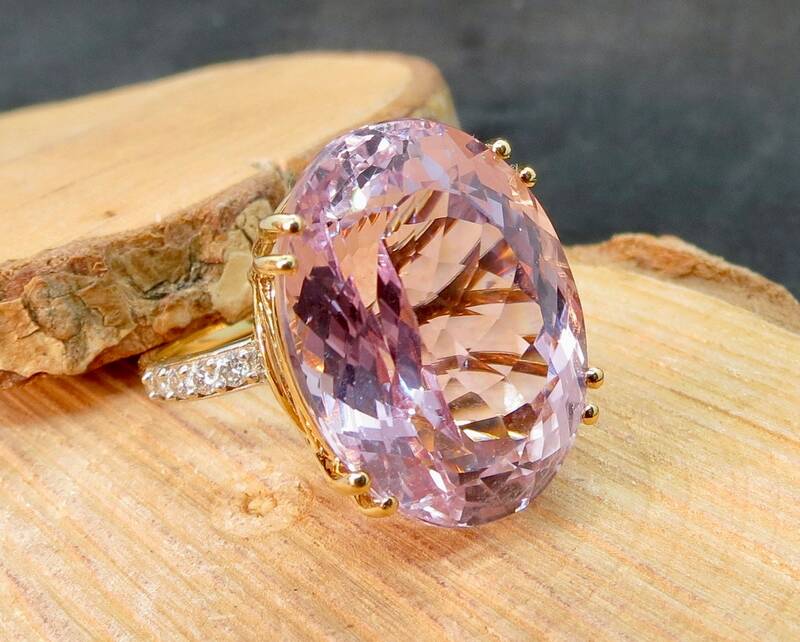 This big stone is in excellent mint condition, with good colour saturation, a beautifully multi cut oval. It has a light pink to saturated pink colour but also shows lilac to lavender. In certain lights changes from light violet to pink-violet with occasional flashes of soft blue to the base. 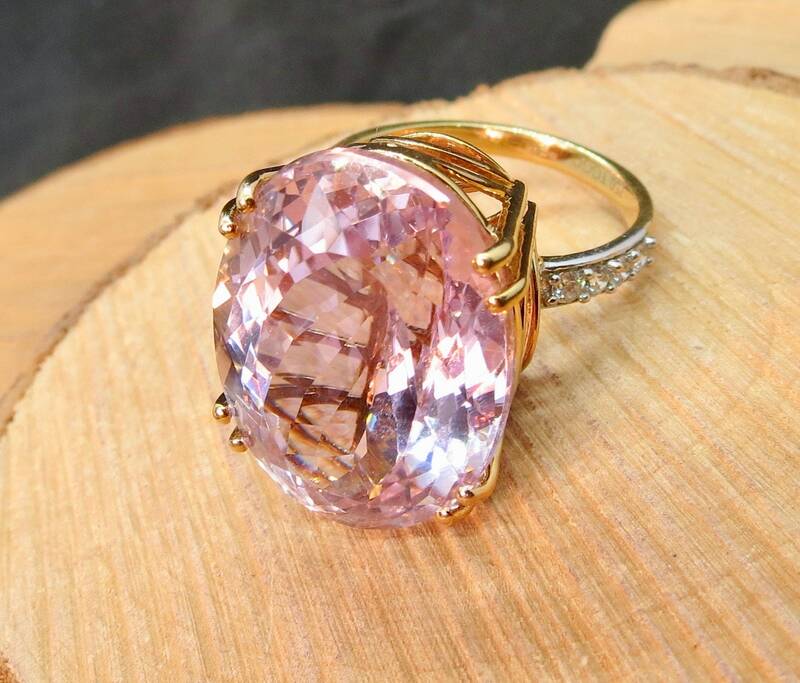 The stone has strong dichroic quality displaying two shades of colour when viewed from different angles. 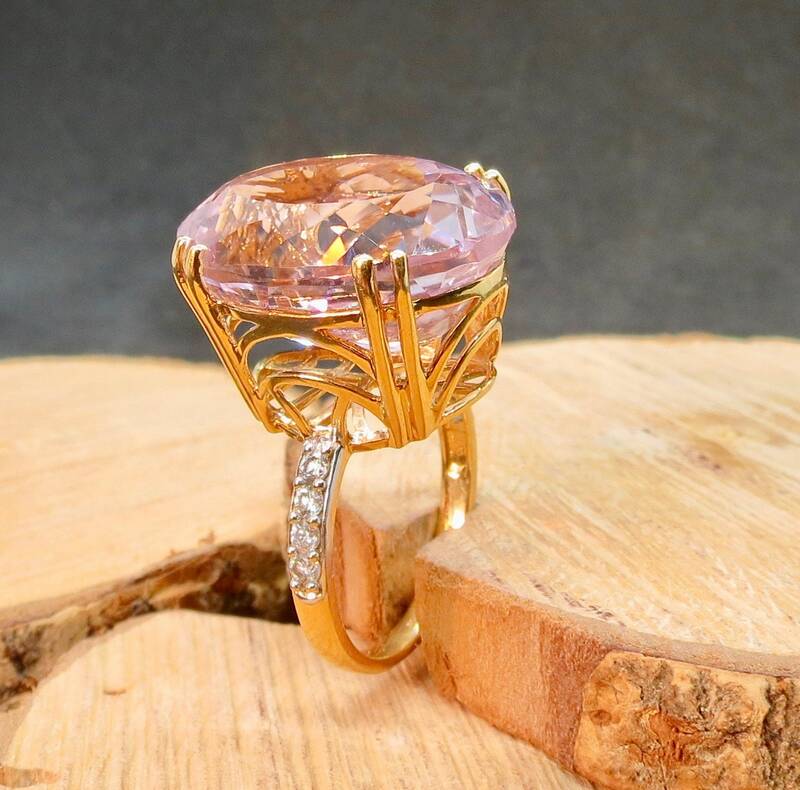 Kunzite is named as a tribute to George F. Kunz, the legendary American mineralogist and buyer for Tiffany & Co, who first described the gem in 1902. 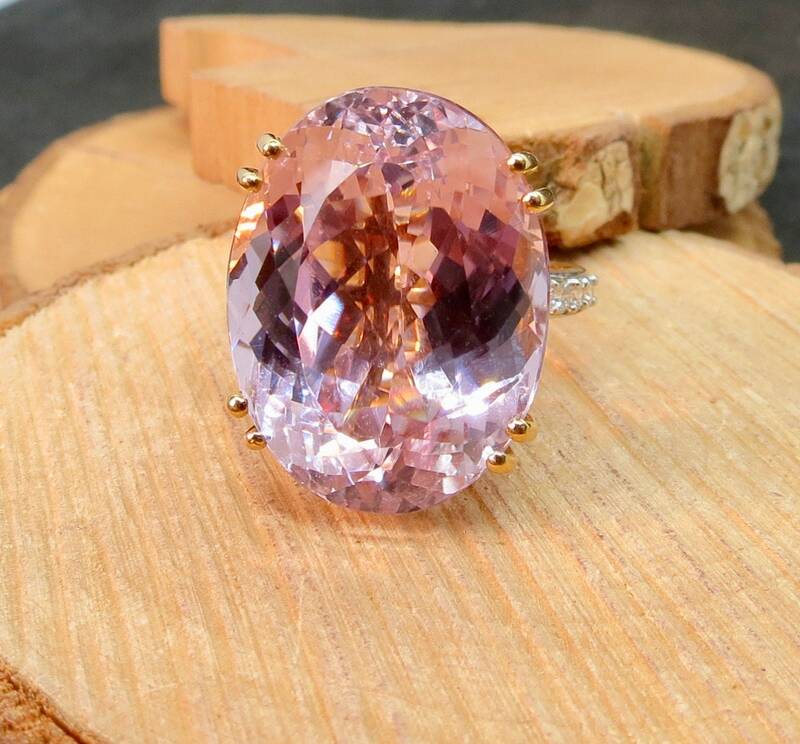 A neckless with a stunning kunzite became a famous Gift of Tiffany & Co. in 1989. 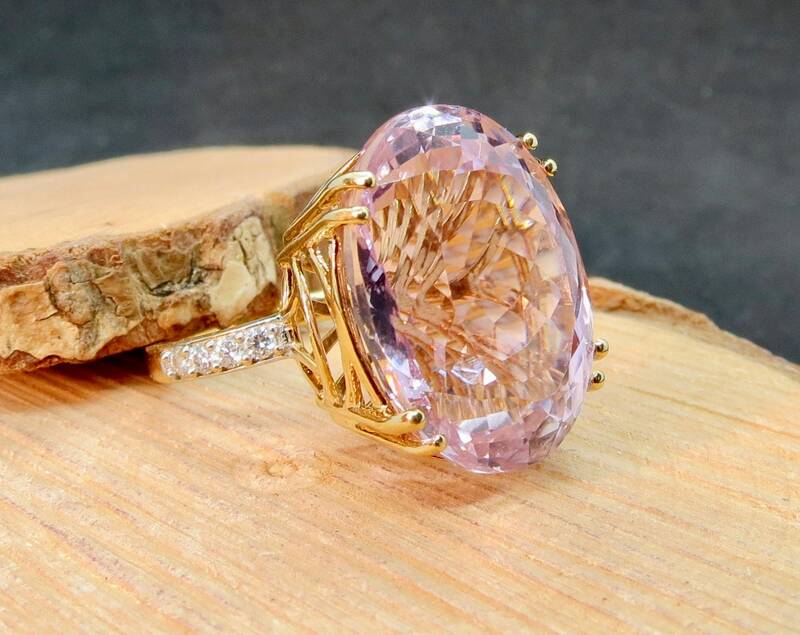 Designed by Paloma Picasso and made by Tiffany & Co. a huge kunzite gem from Afghanistan adorns the necklace that Paloma Picasso designed in 1986 to celebrate the 150th anniversary of Tiffany & Co. 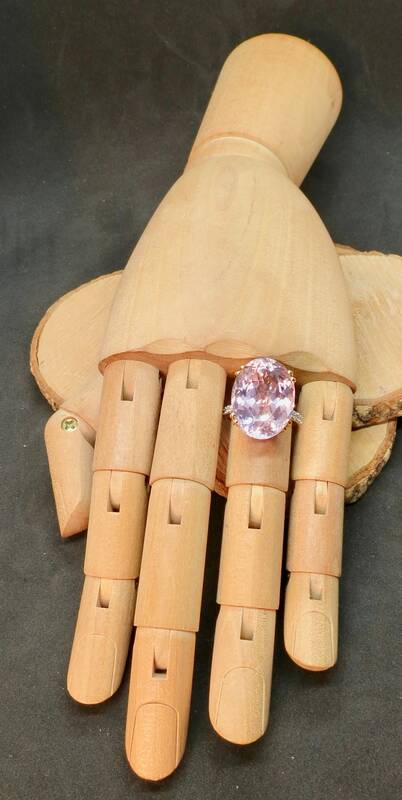 This kunzite gemstone has been tested by two independent gemologists. 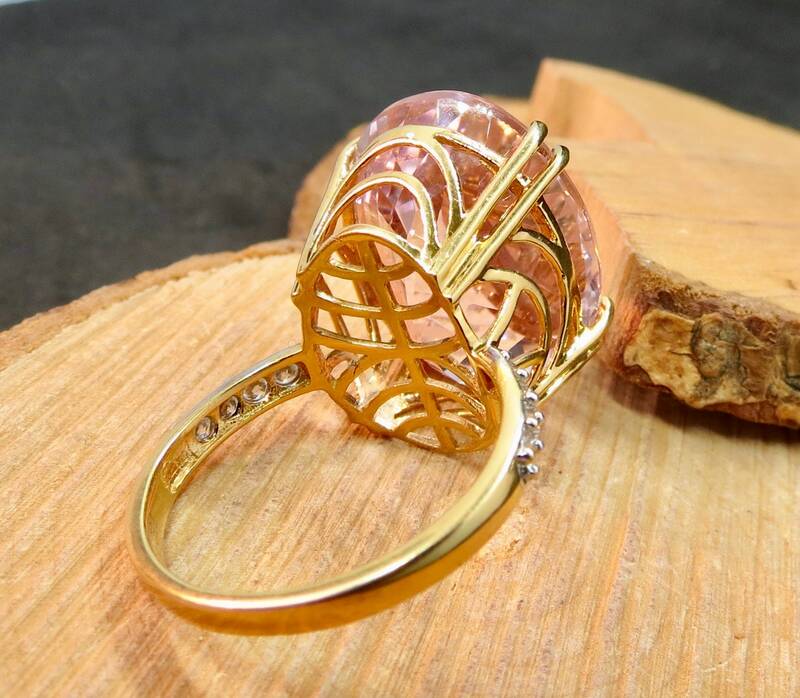 It has a light refraction of 1.66 and a hardness of 6.75. Free resizing is available upon request.